Some of the Cimmeria posts I make will be about two characters. Smaller characters have smaller posts but I don’t want to deprive you all of a decently sized blog post on Cimmeria every week. The information for this week’s two characters is pulled from a forgotten note I wrote a few years ago on how magic items can possess people in D&D. So let’s get started with our two characters of the week, Cecilia (again) and the magic talking dagger, Korm! The meta has been shifting in Hearthstone which is predictable after the release of a new set. GVG is shaking things up just like Blizzard wanted. So what are some of the biggest new decks? Well, Mech Mage is one of them. 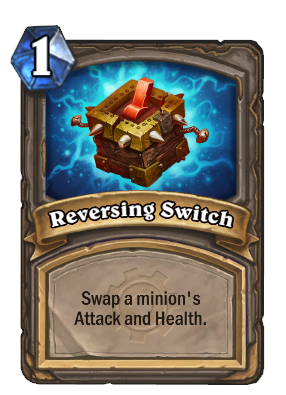 The expansion came with plenty of new minions to flood the board early such as Clockwork Gnome, Mechwarper, Micro Machine, and Snowchugger for Mages. 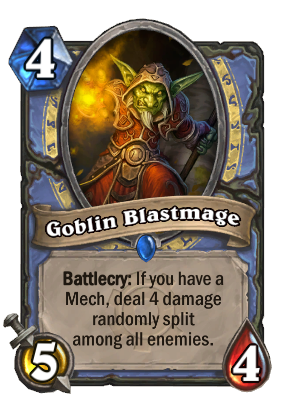 For the mid game there’s Piloted Shredder, Madder Bomber, Bomb Lobber, and Goblin Blastmage. Each of them brings a decent body of their own along with an ability that will usually trade with an opponent’s minion while still leaving your minion alive, either through a damaging battlecry or the Shredder‘s deathrattle. What are you doing with that stapler and an Arcane Missiles card? Stay back! Add in the normal strong spells of a Mage and the deck is quite solid. What makes it devastating is the new Spare Parts cards. They’re cheap and the deck has Clockwork Gnome, Tinkertown Technician, and Mechanical Yeti to create them. Flip-flop! Now my deck’s on top! The cheapness is wonderful. They can activate Mana Wyrm to pump it up. They can activate Gadgetzan to draw cards. They can activate Antonidas to create three Fireballs on the turn you drop him. They also work with the new legendary, Gazlowe, to create tons of mechs for you to play. 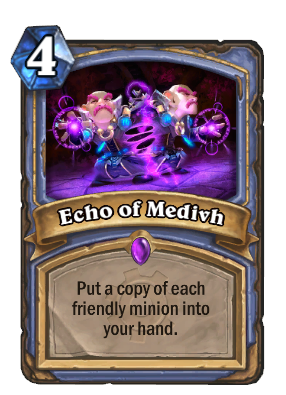 Mage also got a new toy with the epic spell, Echo of Medivh. The spell is used in the old Freeze Mage Giant deck which focused on freezing out their opponent and drawing cards until they could play giants and Duplicate them. Well now you can duplicate them another way! I don’t really know who or what Medivh is. Say you’re at 10 life. You feel safe because you’ve got two Molten Giants that you gave taunt to on the board and you have an Ice Block secret. Now throw in Echo of Medivh and suddenly you have two spares of one of the most powerful minions in the game! Day9 has a video where he fills his board with 6 Molten Giants in one turn using this trick. The deathrattle aggro decks that Warlock, Priest, and Hunter run all got some improvements with Clockwork Gnome and the Piloted cards. Mechwarper and Micro Machine also help out with mech aggro decks. Ramp Druid got some new tools. Grove Tender helps them ramp up faster while also providing a body. Tree of Life allows a full reset of life when you’re facing an aggro deck. Handlock got Mal’Ganis, so now your opponents can’t even rush you down if you drop that. Fortunately, some cards were added to counter Handlock and any other oppressive control matchup. Goblin Sapper and Clockwork Giant are perfect against decks that like to stock up on lots of cards. There are tons of other cool cards that have slightly altered existing deck. Shrinkmeister and Voljin for Priest. Muster for Battle, Quartermaster, and Bolvar Fordragon for Paladin. Gahz’rilla for Hunter. A slight Murloc focus for Shaman along with Crackle for burst based decks. Rogue got some awesome new mech cards along with the means to possibly create a viable pirate deck. I haven’t seen one yet, but I’ll bet its coming. So lots of new cards to try out! I’ve only just now finished spending out all my gold on Arena runs to learn the new cards in that mode. Now I have to see how what I have works in Ranked. I just got a Mal’Ganis for a Demonlock deck in my last Arena run. Maybe I’ll give that a try! A still from a security camera of Diren Dede stealing from Markus Kaarma’s garage. What topic do I want to write about tonight? I read this on the New York Times. You can check it out at this article. Diren Dede was a 17 year-old exchange student from Germany going to school in Montana. He thought it’d be fun to go out and steal stuff from someone’s garage. He found an open garage and went in to take some stuff. The owners, Markus Kaarma and Janelle Pflager, were cautious because there had been other burglaries in the area. They’d installed cameras and motion sensors in the garage. They chose not to actually close the garage all the way because they like to duck under it to smoke outside. Not closing the garage didn’t make sense to my Californian mind at first. Why not just open your door to go smoke? The case is in cold Montana though. The couple probably smoke in their garage and just duck down to breathe the smoke outside. Anyways, Markus Kaarma saw the motion detectors. He grabbed his shotgun and fired into the garage. Montana law gives someone the right to use a gun against a home invader only if the trespasser is violently threatening someone in the house. That’s pretty clearly not the case. And there’s a purse at the back of the garage that was placed there with marked items, so that if it was stolen they could track down the thief. So… it’s almost a clear case of premeditation. They didn’t burglar proof their house. 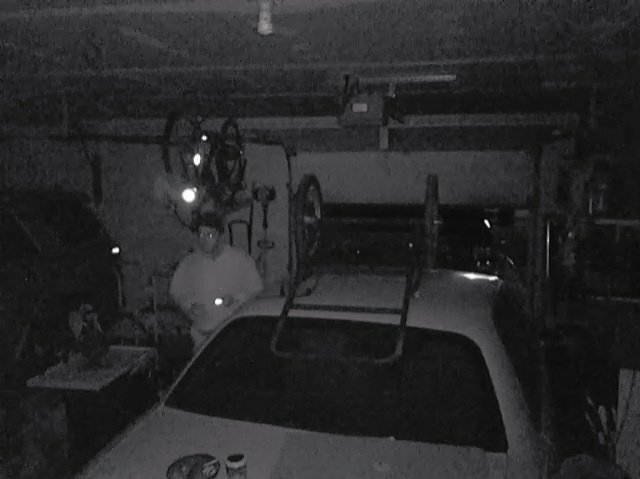 They set up stuff to tell them if a thief was in the garage. And Markus talked about wanting to kill someone. The facts as I see them make the case clearly second-degree murder, if not first. People have the right to protect themselves and their property, but there is a limit to how far that protection goes. Kaarma could use his gun for intimidation, but when he heard Dede telling him to wait, he should’ve realized that firing his gun was a bad choice. All that aside, I’m also a little surprised he could afford bail for a murder case.